The NACZ Act 1985 allows the Council to register applicants, namely; i) Arts Associations (membership driven entities) ii) Arts Promoters (business enterprises), groups and individuals. According to the Statutory Instrument 87 of 2006 Non of the mentioned shall operate in terms of these regulations without being registered. These regulations are made as a way of protecting the public, the reputation of the sector as well as the artists themselves from being shortchanged without easy recourse. Now the next question that needs to be answered is; are the benefits of registering with NACZ? In other words why register with NACZ? The first reason is really that good citizenship is shown by following the laws of one’s country. When an association ,promoter, group or individual register they will be complying with the laws of Zimbabwe. However, there are other benefits that accrue ; namely that your activity have been given a seal of approval. A seal of approval is critical in any professional activity. This explains why organizations have invested in getting their products get ISO certification. Registering with NACZ makes the business legal and reliable. For instance a registered organization will also be able to then facilitate payment of taxes by the members where taxes are supposed to be paid. The arts sector has been clamoring for increased funding and recognition. This will only be possible when players in the sector contribute like all the other sectors in paying taxes. Registering with NACZ will therefore ensure records are kept on the number of organizations contributing to the fiscus. Government provides the largest business opportunities in any country. When an arts organization registers with NACZ it will be able to enjoy these opportunities in addition to getting facilitation services when dealing with government agencies and departments. According to the NACZ Act 1985, NACZ is not obliged to provide a service to an organization not registered according to this Act. Since 2003, registering with NACZ has enabled an organization to benefit from duty free importation of broadcasting and recording equipment, musical instruments as well as Public Address Systems. Cultural exchange programmes between countries only involve registered organizations or their members. It is clear from the above that registering with NACZ has many advantages and remaining unregistered exposes an organization to many threats. The applicant wishing to become a promoter in terms of the Act must be a registered company according to the Companies Act 1990 and should register with the National Arts Council of Zimbabwe. e) Pay the applicable application fee when lodging the form. The application will then be lodged with National Arts Council of Zimbabwe. Under normal circumstances, the applicants should expect a response within ten working days from the date of submission. Applications submitted at provincial offices may take more time depending on the efficiency of the postal system that brings the application to NACZ Head Office in Harare. Promoter’s certificates are only valid up to 31st December of each year and are supposed to be renewed. Renewal within the three months would only require Zimra clearance certificate as well as application fee. Should renewal be done beyond the three months after the expiry of the license, the decision to demand re-application rests with the Director of the National Arts Council of Zimbabwe depending on the circumstances that prevented the applicant to renew with the three months period. a) A copy of a Constitution of their association or organisation or certified copy of certificate of incorporation. Trustees should lodge their deed of trust when registering. b) Minutes of the meeting that constituted the association or organisation. c) List of executive committee members. e) Any other relevant documents or information which the Director of NACZ may from time to time deem necessary. f) Application fee accompanied by a prescribed form obtainable from NACZ. Associations may be registered as District, Provincial, or National depending on the scope of operations as well as spread of membership. Whatever the type, the requirements, process and fee are the same. The next time corporate, venue owners and the media need to check if a person who claims to be registered is telling the truth, just demand a valid National Arts Council of Zimbabwe certificate. No letters please. 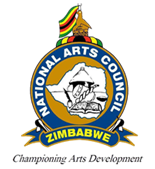 National Arts Council of Zimbabwe.